First thing to see is how easy is the process to configure and start using CBCB nEXT EVO Board. It will come preconfigured with NodeMCU, so, if LUA is your desired programming language you can just start using it. In case of firmware update needed or if you want to change the environment, it is a very easy process, almost similar with the one used for MPSM Board for example. connect CBDB nEXT EVO Board with the USB Cable. Add from Config Menu latest previously downloaded firmware. It must start from 0x0000. Disable anything else. Go back on Operation tab. Power off your CBDB Module. Press FLASH Button. power ON quick CBDB module. It will be recognised and will start flashing. Give it a second try if necessary. Power Off CBDB Module, Remove yellow jumper. Power back ON. 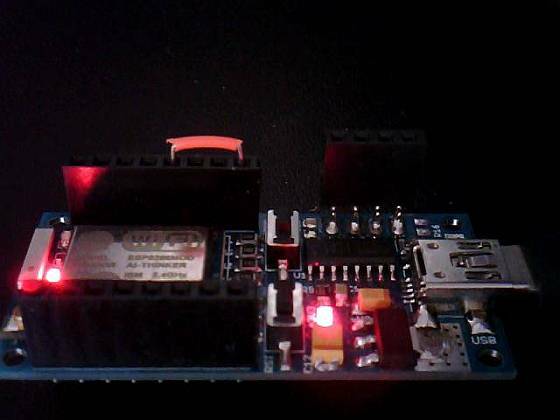 Your nEXT EVO Board should be now programmed with the new NodeMCU Firmware. For further programming in LUA, it might be possible to do it directly in your Serial Terminal Program but I will recomend you to use a more dedicated program for that, like ESPlorer or LuaUploader. I will stay with the latest one, for it’s great flexibility and simplicity. To run a quick test, you can just use the code snippets provided by LuaUploader at start-up. Select the piece of code that you want to run and press “Execute Selection” button. Arduino IDE first test for direct programming and firmware uploading on the new ESP8266 CBDB nEXT EVO DevBoard. 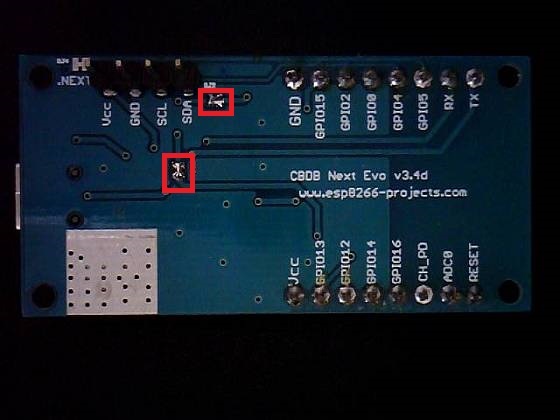 If you want to use it without RESET + PROG buttons control, then just solder the back jumpers as in the picture below and No manual reset needed , no buttons to press, just press Upload in Arduino IDE and that’s it!